Who doesn’t like a meatball? 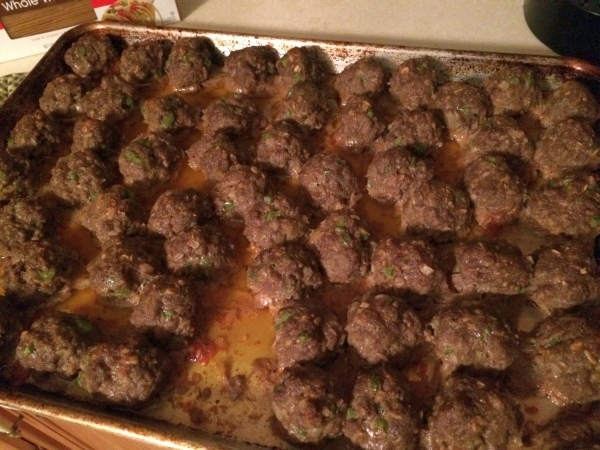 Made from an amount of ground meat rolled into a small ball, sometimes along with other ingredients, such as breadcrumbs, minced onion, spices, possibly eggs and herbs. Or whatever else you have on hand! 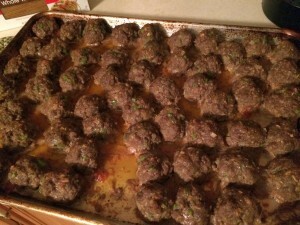 Meatballs are usually prepared and rolled by hand, and are cooked by frying, baking, steaming or braising in some sort of sauce. They can be made with pork, beef, veal, chicken and even vegetables. Seems like when I’ve been visiting my friend Heather lately, that she’s been making a variety of flavors lately. After sampling some the other night hat she had made from a blend of ground beef and Italian sausage, (I’m not even a fan of Italian sausage typically and these were really good!) So I asked her to share her recipe! Preheat the oven to 400 degrees. Remove the meat of the Italian sausage from their casings. In a large mixing bowl, gently combine the ground meats with the other ingredients. Using your hands, carefully mix all ingredients until well incorporated, but don’t over work the mixture or the meatballs can become tough. 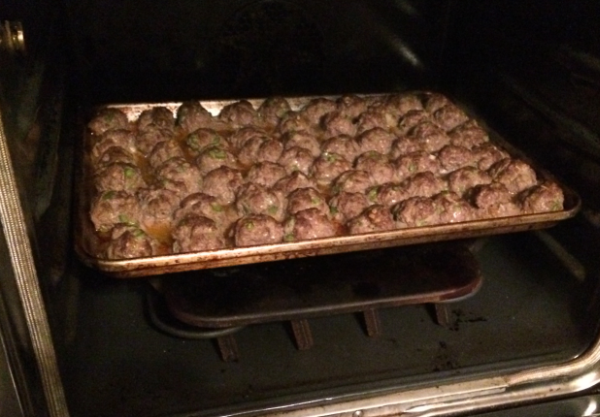 Shape the meat into rounds, and place the balls onto a cookie sheet. Bake uncovered for 20 to 30 minutes or until browned and cooked through. Drain any access fat before serving. These can be added to a pasta sauce or served as an appetizer.